Do you ever guess how far you run? 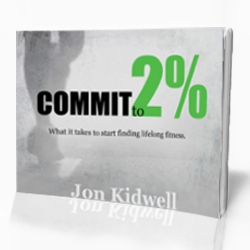 Did you know 25% of us overestimate our exercise? I sometimes guess how many calories I eat, how long I workout, or how far I run. Usually favoring the side of a more healthy me. Guesstimating can leave vast gaps like the time I thought I ran 6 miles and it was really like 4.5. Recently, my friend Ben said I should try Map My Run, so I did. The app has a free version, which is great! It is super easy set-up. You can register with Twitter or Facebook. It works with the GPS on your phone, and you can still play music. Bonus! I checked the accuracy of the calorie burn against my POLAR watch and the MyFitnessPal app and all were within 20 calories of each other. The distance ran matched the distance when checked against the Mapquest and my knowledge of the route from previous runs. I recommend this app to anyone looking for an easy way to track a run, walk, or bike trip. (Under 'Activities' you can select from multiple forms of exercises.) Map My Run is an excellent tool to accurately track your calories burned, distance, and time. If you are looking for some competition I noticed that is possible through Facebook and Twitter with the Map My Run app. Follow me, friend me, and electronically run with...or against me. 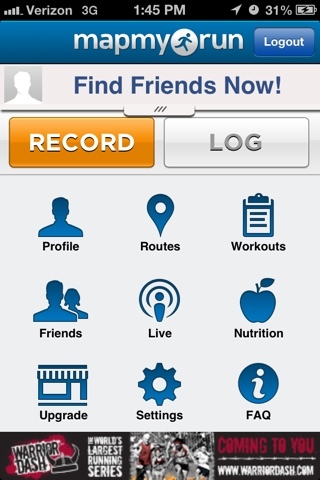 Do you use Map My Run or a different app to track your fitness?